The WRX had its beginnings as the high-performance version of Subaru's compact car, the Impreza. Starting from the 2015 model year, it began a new life as a standalone car-with the Impreza underpinnings, of course. With a sportier performance than the original nameplate-not to mention standard all-wheel drive and roomy seats-the nameplate goes into the 2018 model year as a solid compact car choice. It comes in five trims: a base-level model, the Premium, the Limited, the STI, and the STI Limited. The 2018 model year follows the Impreza's fifth generation of production. At the base level, the car has front and rear underspoilers, a rear bumper with an integrated diffuser, a quad stainless-steel exhaust system, heated side mirrors, halogen headlights that integrates projector low beams and multi-reflector high beams, and 17-inch alloy wheels. Fog lights are added if you go with the Premium or higher. Jump one notch to the Limited, and the headlights are upgraded to LED steering responsive ones, which turn in the direction of your steering to give you a more accurate range of illumination. The STI variants have unique trunk spoilers for boosting aerodynamic performance, and the side mirrors have power adjustability and turn-signal indicators. Eighteen-inch alloy wheels go on the Premium and Limited, and 19-inch ones go on the STI and STI Limited. The 2018 model features two rows of seats for accommodating up to five people. It offers a passenger volume of 96.6 cubic feet. Trunk space is measured at 12 cubic feet, with the option of folding down the rear seats to expand it into the cabin for extra cargo volume. Front seating on the vehicle includes a 6-way manually adjustable driver's seat. If you get the Premium or higher, you'll also get heating ability on the front seats. The mid-level Limited welcomes 10-way power adjustability on the driver's seat, as well as leather upholstery. 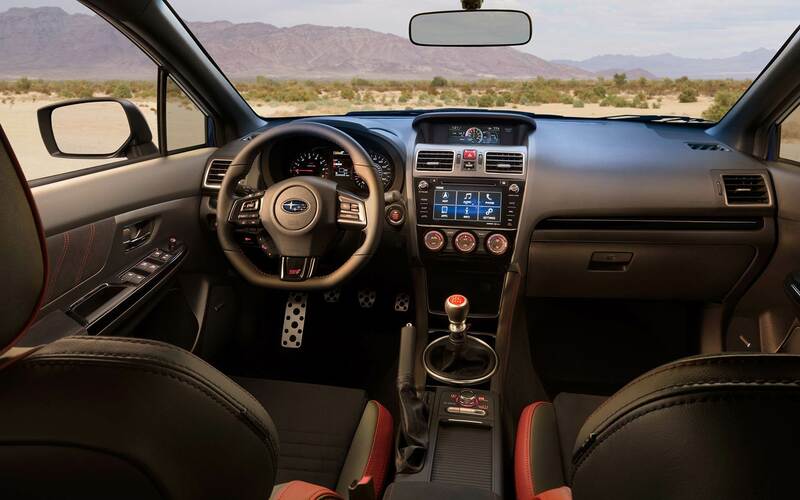 The STI trim level (i.e., regular and Limited variants) has its leather seat covering upgraded to Ultrasuede®, and only the STI Limited gets an 8-way power-adjustable front passenger seat and Recaro® performance-style front seats with red stitching. For comfort and convenience, the vehicle starts with features like electronic cruise control, six-speaker audio, an AM/FM radio tuner, a single-disc CD player, HD Radio™, a four-month complimentary SiriusXM® satellite radio subscription, Bluetooth® wireless technology for audio streaming and hands-free phone operation, a USB port and an auxiliary audio jack for connecting mobile devices, and STARLINK™ infotainment integration with a 6.2-inch LCD touchscreen. Enhancements and additions on the vehicle, once you go with at least the Premium, includes a 7-inch touchscreen (instead of the 6.2-inch), dual USB ports for charging mobile devices, and Siri® Eyes Free for voice commands. 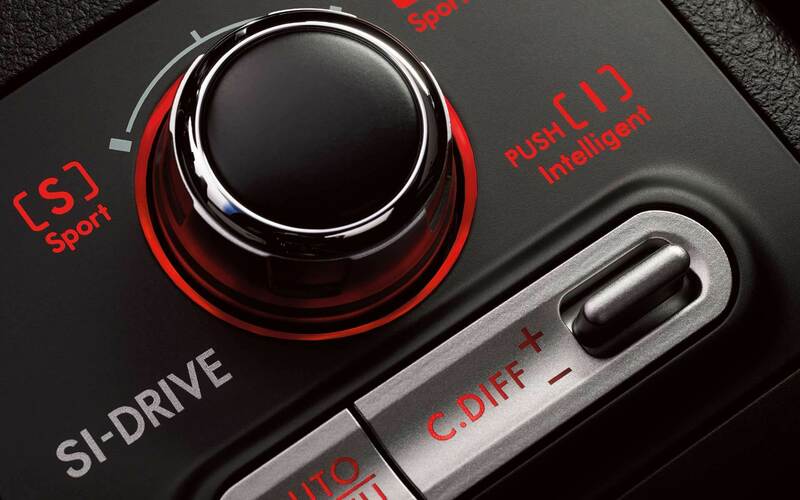 The STI trim level comes with dual-zone automatic climate control, 7-inch touchscreen navigation, and a nine-speaker 440-watt audio system. 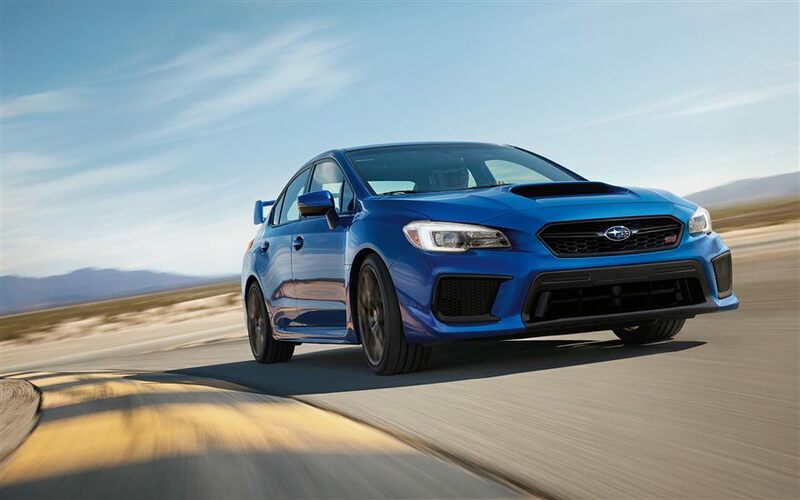 The Premium, Limited, and STI Limited get an additional tilt-and-slide moonroof; the last two trims have keyless access with push-button engine start. The standard engine on this compact car is a 2.0-liter horizontally opposed 4-cylinder (H4), which generates 268 horsepower and 258 lb-ft of torque. 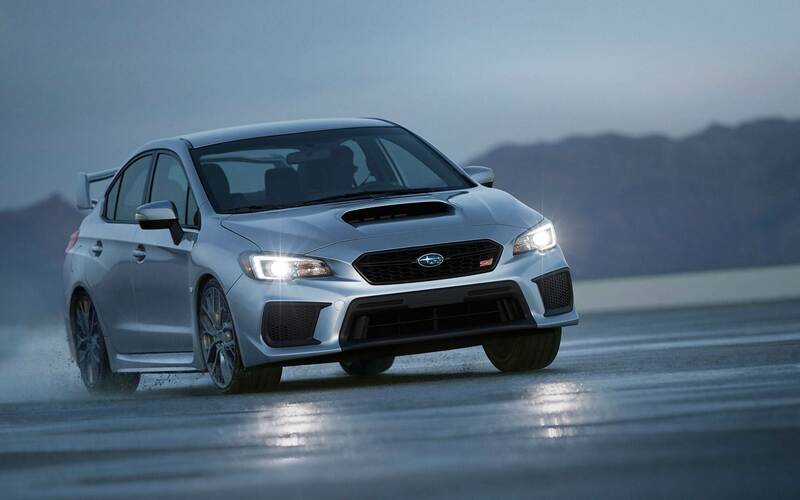 The STI trims gets a 2.5-liter H4 instead; this engine produces 305 horsepower and 290 lb-ft of torque. In addition, the STI engine has an intercooler to prevent it from overheating. Both engines are mated to a 6-speed manual transmission. 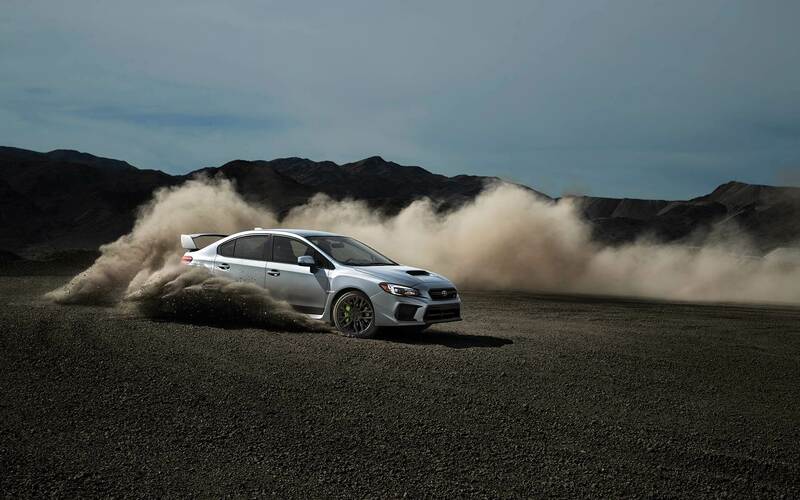 The STI trims get driver-controlled center differential technology, which comes with the all-wheel-drive system to control power torque distribution between the front wheels and rear wheels to enhance traction. For restraint and cushioning in the event of a collision, the compact car comes with a driver's knee airbag, a pair of front impact airbags, a pair of front seat-mounted side impact airbags, and dual roof-mounted side curtain airbags. Four-wheel disc brakes are on the vehicle to keep stopping distances short. The braking system comes with anti-lock braking ability to prevent wheel lockup, brake assist for additional stopping force when necessary, electronic brake-force distribution for proper allocation of stopping ability to the wheels, and brake override for preventing unwarranted acceleration. Also standard are electronic vehicle stability control, traction control, a rearview camera, active torque vectoring, and daytime running lights. Added on the Limited trim and higher is Starlink Safety and Security for services such as automatic collision notification, roadside assistance, and stolen vehicle recovery. The STI trim level gets Brembo® performance-oriented disc brakes for even shorter stopping distances, as well as incline start assist for safe driving up a steep slope from a parked position. The STI Limited is the only trim with blind spot detection and rear cross-traffic alert. Amped up to test-drive the 2018 Subaru WRX? Then come see us at Flatirons Subaru in Boulder, Colorado. We have built a reputation for serving Denver Colorado residents with Denver area specials, in addition to other surrounding areas. Call us at Flatirons Subaru to set up an appointment with one of our sales specialists known for serving Denver Colorado shoppers with Denver area specials.